In 2016, approximately 400,000 car accidents occurred in Florida and nearly 250,000 individuals were injured in these crashes. Since Florida is one of the most populous states, it is not surprising that so many accidents happen and that Florida ranks among the states having the highest number of car crashes every year. If you are ever involved in a car accident, the chances are that you will sustain injuries or other damages. 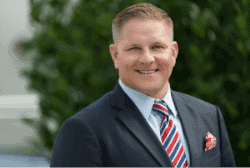 Thus, whether your accident involved another vehicle or truck, or only your own car was involved, you should seriously consider consulting with an experienced Port St. Lucie Car Accident Lawyer as soon as possible. 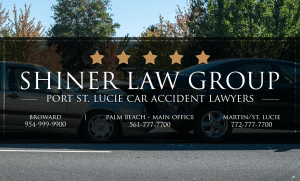 At the Shiner Law Group, our attorneys have extensive experience assisting victims who have been injured in all types of car accidents so call us today at (772) 777-7700 and learn what we can do for you. This is not an exhaustive list of the causes of car accidents, and sometimes multiple factors can result in a devastating crash. But if you’ve been in an accident, no matter the reason, it is important to contact an experienced Port St. Lucie car accident lawyer right away. If you have been involved in a car accident in Florida, while it is easier said than done, try to remain calm. You should stay at the scene, and if you are able and it is safe to do so, assess the situation and call 911 if you think someone is injured. Again, if it is safe to do so, try to obtain any contact and insurance information from anyone involved, and the names and numbers of those who might have witnessed the accident. In addition, take photographs of the scene and the damage with a camera or your phone, and be sure to write down some notes about the accident while the event remains fresh in your mind. These things are all helpful for insurance purposes and in case you decide to file a lawsuit in the future. Finally, while speaking with others involved or answering questions posed by law enforcement officers, do not admit fault and do not sign anything until you’ve spoken with a lawyer. Anything that you say or do might be used against you. Florida is considered a no-fault state which means any injuries or other damages that result from an accident are typically covered by your own car insurance. However, if your injuries are disfiguring or otherwise permanent, you will have to decide to file either a claim with the at-fault driver’s insurance company or file a lawsuit against the driver or other individual or entity responsible for the accident. If you decide to file a lawsuit, you usually have to prove that someone else was negligent, or liable for the accident. In Florida, you have four years from the date of your accident or injury to file your lawsuit. If you’ve been in a car accident in Port St. Lucie or elsewhere in Florida, you should consult with a dedicated Port St. Lucie Car Accident Attorney as soon as possible. At the Shiner Law Group, our attorneys will listen to your wants and needs, advise you of any options you might have and will work hard to obtain the results you deserve. 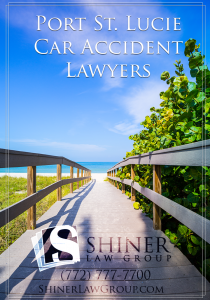 Contact the Shiner Law Group today at (772) 777-7700 and schedule your free consultation.